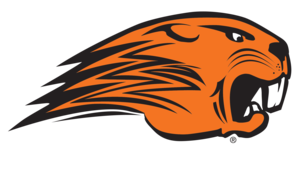 The Beavercreek High School Athletic Hall of Fame committee is proud to announce the induction of athletes, coaches and contributors to the 20th Class of 2018. The new inductees are: Don Bogard, Eric Gartz, John Guliano, Daniel Lee McClure, Steve Popp and Gary Wise. In this year’s class, the BHS Athletic Hall of Fame’s Committee has inducted our first Hockey Team members - the late Eric Gartz and Daniel Lee McClure. Additionally, the committee and members voted in, currently active, coaches. These coaches, John Guiliano, Steve Popp, and Gary Wise are the premier coaches in their respective sport and we are elated to include them into our family. The recipients will be honored at a Beavercreek Athletic HOF Formal Ceremony on August 31 at 5:00 PM held in the Beavercreek High School Auditorium. The emcees for this event are Dr. Roger Coy and Dr. David Stewart. There will be a reception and buffet before the ceremony in the BHS Commons area. After the formal ceremony, the recipients will be introduced at half time of the Beavercreek and Carroll High School football game at Frank Zink Field. This event is open to the public, students, friends and family of the inductees as well as past BHS Athletic HOF members. If you plan to attend the buffet, please, send a RSVP to bhsathletichof@gmail.com.